Thought to have been bottled in the 1960s or earlier this is a rare 16 year old Jameson that was distilled at the old Bow St Distillery. The condition is very good and the fill level is to the top of the shoulder. 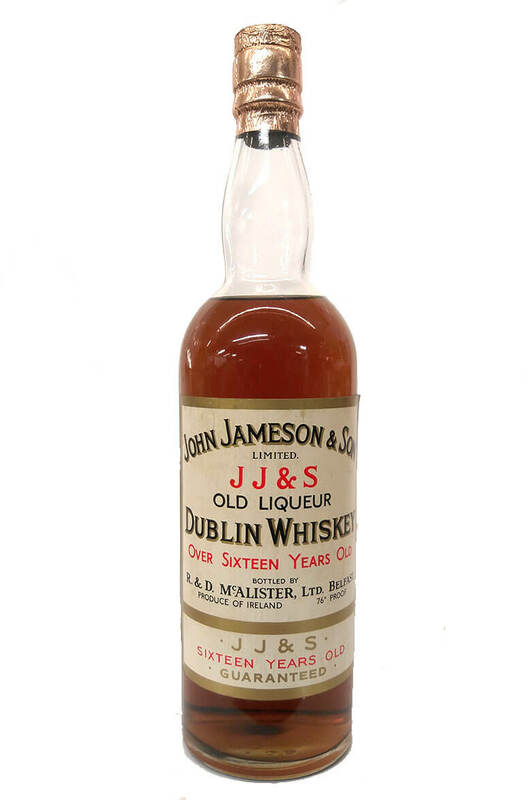 A rare old bottle of Jameson pure pot still whiskey that was bottled by A Millar and Co in Dublin. D..